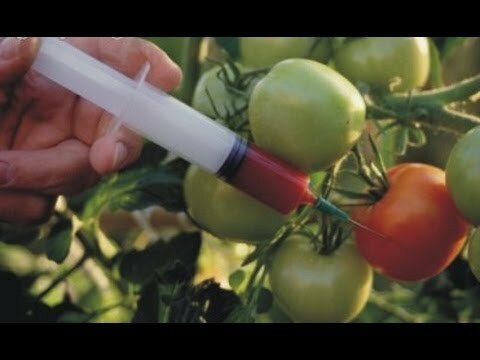 Do you know the amount of pesticide that goes into planting vegetables and fruits? At farms, pesticides are sprayed upon vegetables to prevent insects from eating it. Furthermore, they are injected with hormones to grow bigger faster. Vegetables and fruits can only maintain their freshness for a maximum for 7 days. But from the time it’s harvested, packed, transported and bought by consumers, it would have been more than those 7 days already. Hence to prevent them from rotting, manufacturers often spray fruits and vegetables with chemicals so it will “stay fresh” by the time it reaches consumers. Threatens child development: Some pesticides contain hormones that disrupts a child’s growth. In worse cases, it can actually contribute to cancer. As a child’s body is still developing, exposure to pesticide can impair with memory, attention and ability to learn. Children need plenty of nutrients in their growing years, so they’re really vulnerable to the harmful effects of pesticide. You must wash the fruits and vegetables, but it’s not enough: Rinsing simply removes the dirt and human handling, maybe a bit of pesticide. Labs have concluded that pesticides are still clinging on to the produce even after a through rinsing. Damages physical body: If enough pesticide is consumed through a long period of time, our bodies will experience severe damage. These include liver failure, cancer and even permanent disability. Eating a few unwashed fruits is okay. But in the long run, chemicals stay for years in your body even after being excreted. KENT Vegetable & Fruit Purifier is based on revolutionary Ozone Disinfection technology that effectively kills bacteria and viruses from the surface of vegetables, fruits and meat. Its triple oxygen molecule destroys any fungus and pathogens it comes in contact with. To keep you and your family safe, no consumables are used in producing ozone gas. The highly effective ozone gas successfully oxidizes traces of pesticides, insecticides and other harmful farm chemicals in vegetables and fruits. Making food safe for your tummy! For meat, poultry and seafood, the gas cleans out antibiotics and hormones trapped inside. How do you use KENT Vegetable & Fruit Purifier? Prepare a bowl of water and place your fruits and vegetables in. Make sure items are 100% submerged before placing the Ozone Tube into the bowl. Set an automatic timer between 15-30 minutes to begin the purification process. After that, simply rinse your items with clean water before consumption! With just one added step of Ozone Disinfection, food remains fresh & de-odorized for longer duration and has a higher shelf life. Don’t take the risk of ingesting harmful chemicals. Ingesting chemicals can lead to food borne diseases, nausea, vomiting and diarrhea. But with KENT Vegetable & Fruit Purifier, the highly effective ozone gas successfully oxidizes traces of pesticides, insecticides and other harmful farm chemicals in vegetables and fruits. 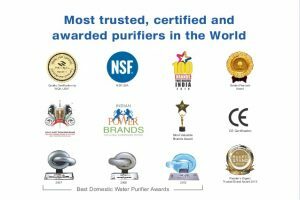 KENT Vegetable & Fruit Purifier is CE certified. It’s been tested by international standards and labs to ensure no consumables are used in producing ozone. It’s simply produced by using oxygen present in the atmosphere. Therefore, it doesn’t need additional servicing or replacement of parts. Along with other numerous credentials, KENT has international certificates from both WQA and NSF USA. Rest assured that KENT purifiers deliver 100% purifier water of the highest standards. Over the years, KENT has won Asia’s Most Promising Brand and Best Domestic Water Purifier Awards just to name a few. The accumulation of awards and accolades reflect KENT’s commitment to quality and proves testimonies of ground-breaking technology. Aqua Kent has consistently delivered in being efficient and providing amazing after-sales service. We are a reputable and trustworthy brand worldwide with millions of customers. You certainly won’t be disappointed with one of the most reliable water filter and food purifier system in Malaysia. With a high customer satisfaction rate, we offer the most reasonable and affordable prices. Our Vegetable and Fruit Purifiers range start from RM398 that covers the purifier purchase, installation, and delivery.